of the participants. Such prediction would be useful where accuracy of human sensors in detecting and reporting social media security threats is important. We identify features that are good predictors of a human sensor’s performance and evaluate them in both a theoretical ideal case and two more realistic cases, the latter corresponding to limited access to a user’s characteristics. Keywords: —Social media, computer security, semantic attacks, phishing, social engineering, human as a sensor. Reference to this paper should be made as follows: Heartfield, R and Loukas, G. (2015). Predicting the Performance of Users as Human Sensors of Security Threats in Social Media. 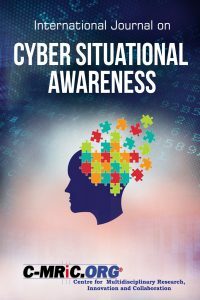 International Journal on Cyber Situational Awareness, Vol. 1, No. 1, pp110-129.